WILLEMSTAD - Several media sources have indicated that Insel Air Aruba will be filing for bankruptcy in the upcoming days. This bankruptcy will have no effect on the air services being provided by Insel Air International BV. The two airlines have no financial links and are two different legal entities with each being registered in their respective territory. The stabilization plan of Insel Air International BV is currently in effect and is showing very positive results in many areas among which is the on-time performance of the airline sitting at an average of 90% and a clear increase in customer satisfaction. 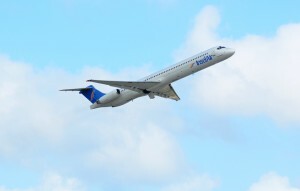 “We still have some ways to go but the foundation is being further solidified every day for the assurance a healthy future and for the long-term connectivity within the Dutch Caribbean territories" according to Mr. Filiatreault, Chief Executive Officer of Insel Air International BV (Curacao).